Maybe you’ve been coming to The Rise for about a month now. Six months? A year? Longer? And hell, you probably have your favorite workout, right? 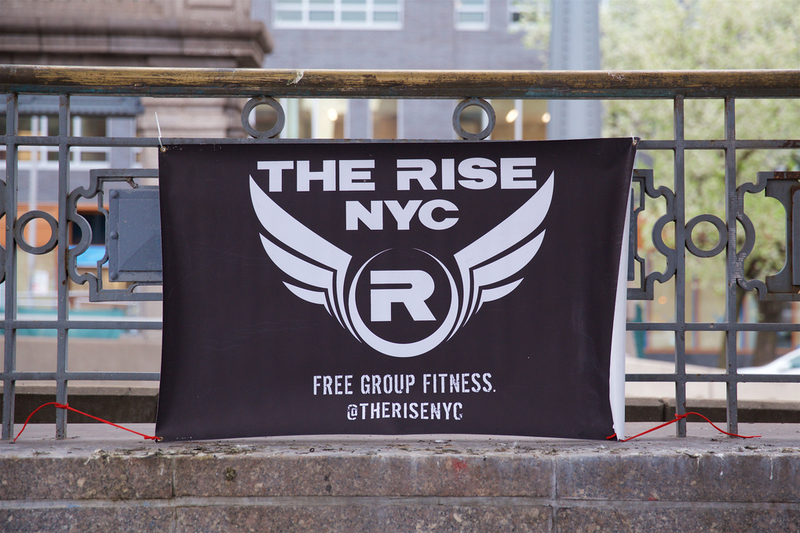 You love starting the week off with HIIT, or finishing it with some killer laps up and down the Williamsburg Bridge. So do you have your favorite day in mind? Good. Nothing is more important for the survival of this group then a healthy flow of new leaders joining our ranks. NYC is always in flux. People come and go, and your favorite Rise leader is not guaranteed to be around next year. That means someone like you needs to show everyone what got you hooked to The Rise to begin with! We only have so many exercises we do, any there are only so many different things one can do in 30 minutes! Nonsense! Remember, there ain’t nothin’ to it but to do it. Nobody is born a leader. All the Rise leaders you’ve ever high fived were once new to their teams (and nervous, no doubt!). But practice makes a whole lot more than perfect. It makes you some new friends and an entirely different perspective of what goes into the workouts you know and love! We’d love to have you. Just fill out the form below. Let us know what team you’re interested in joining and any preferences you have as to what role you’d like to play (photographer, exercise-demonstrator, instructor, announcement-maker, etc.). Every team has a different structure, so don’t think about it too much. Someone on the team will get back to you with info on how to proceed! Thanks for being awesome. Rise up!